Home > News > Company News > Our New Website is LIVE! 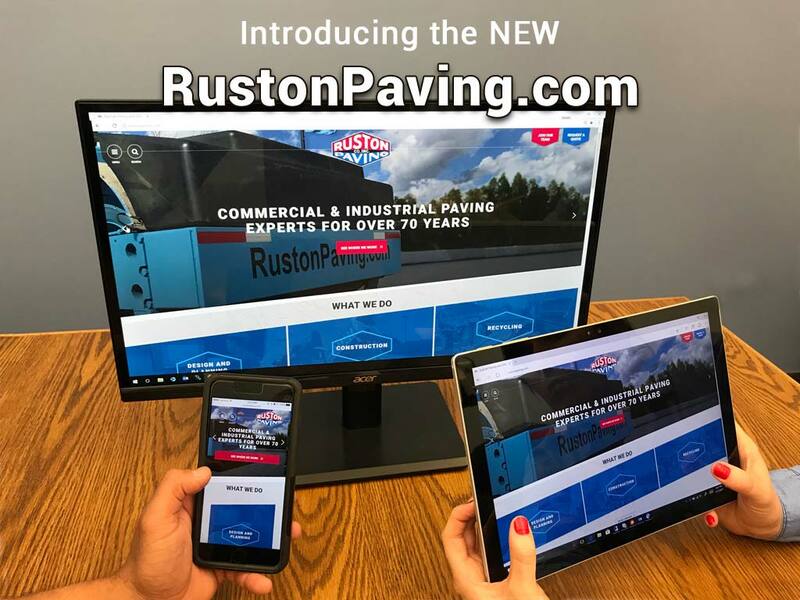 Welcome to our newly redesigned Ruston Paving website. We are proud to share its new content and features. Our website is now optimized for all devices with easy viewing on tablets and smartphones. With this update, we have also added a few new features to the site to provide more usable content, company updates, and opportunities to join our team. 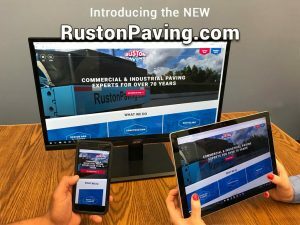 About – Our updated About pages proudly shows our history from 1943, the year Ruston Paving was established, to present day. These pages will also explain our Mission & Vision Statements along with articles that feature Ruston Paving. Divisions – Our Divisions pages show where we work. Users can drill into any of our individual division’s page to see the market area map, contact information and featured projects. Services – At Ruston Paving, we can design it, build it and recycle it. These pages highlight our capabilities and the various types of projects on which we work. News – Our News page will keep you up-to-date on our current projects, employee news, industry involvement, and community service. Employment Portal – Ruston Paving’s career portal allows you to see available job postings, fill out an application, and send resumes online. You can also connect with Ruston Paving through social media by liking/following us on Facebook, Twitter, and LinkedIn.